A feature that was introduced in Android 6.0 Marshmallow allowed for 3rd-party applications to add an item to a text’s context menu. This has become a popular option for applications such as AutoShare, and it’s being used by millions of others with those 3rd-party applications which take advantage of it. This feature was brought over to Nougat and is still in place with the new Android Oreo update, but there seems to be a new bug that prevents these additional items from being displayed properly. To reproduce this bug, you need to have a 3rd-party application installed that adds an item to the context menu. As shown in the video from João Dias on Google+, we simply need to bring up a text field and type something in there. 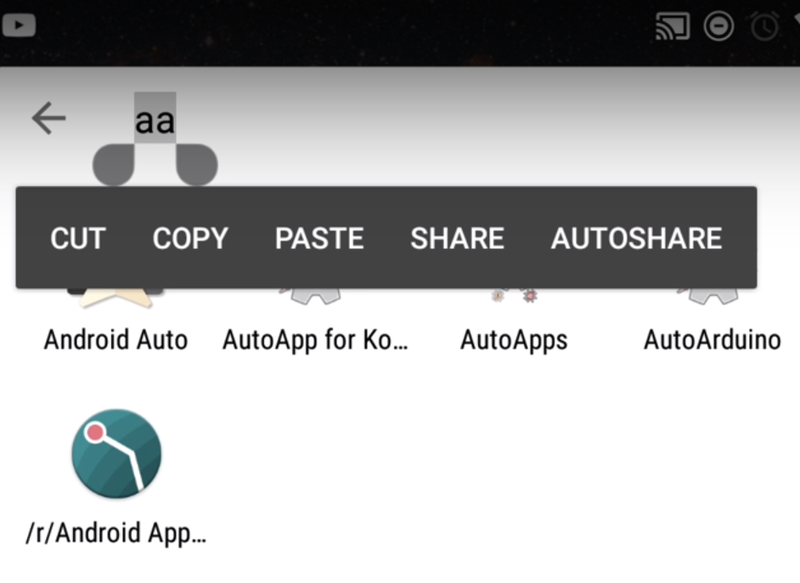 Then we proceed to highlight that text and what we would expect to see is the AutoShare option alongside the traditional ones such as cut, copy, paste, and share. However, the bug prevents these 3rd-party menu options from showing up the first time you bring up this context menu. We’re unsure exactly what is so different about the first time you bring up this menu in an application as opposed to the 2nd attempt and onward, because on your 2nd attempt the 3rd-party options appear and it will continue to appear while you are in that application. You can minimize it and come back and it will continue to show up as it should. However, once you force close that application and open it back up, the bug comes back on that first attempt of highlighting some text to bring up the context menu. Since this was brought to the attention of the AutoShare developer (João Dias), they decided to submit a bug report for the issue and this can be found in the Google Issue Tracker page linked below. Google has yet to confirm if they are able to reproduce the issue (although we have been able to on our own devices), but they have assigned the bug report to someone so the issue should be looked into shortly.